CUAS has been designated a Microsoft Dynamics Academic Alliance Premier Member because of its higher level of commitment to engaging in the DynAA community and to enriching the student experience with Microsoft Dynamics in the classroom! 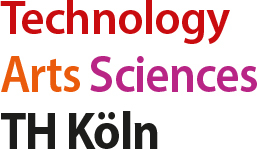 CUAS’ institute of computer science is using Microsoft Dynamics NAV in Bachelor und Master’s courses for educational issues. Applications and application development are considered and student’s certifification preparation are supported. Connections with Microsoft Dynamics partners and customers etc.